I think it’s fair to say that after it had been in development for years, not many people held out much hope for the new version of Stephen King’s It. 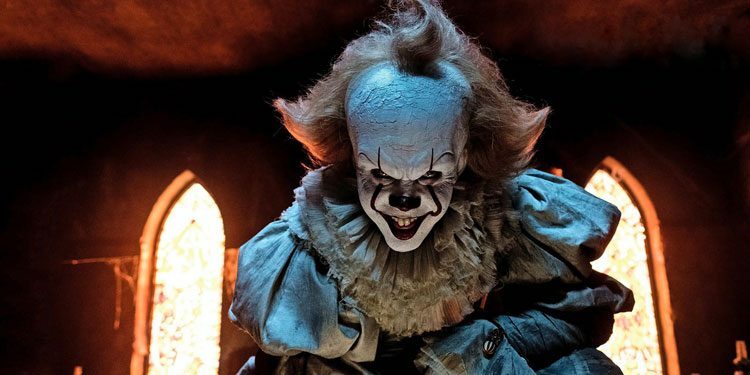 That’s especially true as after a number of interesting directors had been attached, the job eventually went to Andy Muschietti, whose only previous feature credit was the underwhelming Mama. Apparently, the BBC enquired about the rights to Robert Galbraith’s novel, The Cuckoo’s Calling, before it was revealed that Galbraith was actually a pseudonym of JK Rowling. However, it’s likely their plans for a TV version changed once they realised the interest that would be generated by the connection to the Harry Potter author. This year we got five episodes of ‘Strike’, the first three of which adapted The Cuckoo’s Calling, and the other two The Silkworm. This DVD just contains the former, introducing us to private eye Cormoran Strike (Tom Burke) – an injured war veteran (he lost part of his leg in Afghanistan), who’s swimming in debt and sleeping in his office. He’s hired to look into the death of model Lula Landry. Although officially classified a suicide, her brother thinks it was murder. At the same time Cormoran also picks up a Girl Friday in the form of temp secretary, Robin (Holliday Grainger), who turns out to be more useful than the gumshoe expected. As Strike looks further into the case, things get increasingly dangerous. Things would probably have been better for The Cuckoo’s Calling if the aura of Rowling didn’t hang over it. Rather like mini-series adaptation of her previous book, The Casual Vacancy, it brings a weight of expectation that it would be difficult to live up to. With Strike, we have a decent new TV detective, but it feels a bit disappointing as it’s nothing we haven’t seen many times before. Indeed, the character of Strike is pretty much a pulp novel cliché transplanted into the body of a 21st Century man. Thankfully he’s given charming life by the talented and genial Tom Burke. Holliday Grainger also gives it her all as his sidekick, but to be honest she’s not given a vast amount to do. I also wonder whether if it wasn’t for the aura of Rowling, The Cuckoo’s Calling would have been given a shorter, sharper adaptation. Spreading it out over three episodes stretches the plot out quite thinly, particularly because it’s not the most enthralling, intricate mystery the world has ever seen. Two episodes would have been more than enough to do it justice, as without the Rowling/Galbraith prose to keep you hooked, the plot itself isn’t all that different to many other mysteries and has to be stretched out over three hours. I know I’m sounding pretty negative, which I don’t mean to. It’s just that with the talent on display here, not least from the actors, this could have been more than it is. Even stretched out over three hours it’s entertaining and keeps you pulled in, but with more thought and intensity it could have brought out both the humour and the dark edges far more than it does. What it undoubtedly does is work as a decent pilot for what could become a really good detective series. There’s enough here to make the viewer want to see more, even if they may wish The Cuckoo’s Calling itself was at least equal to the sum of its parts. 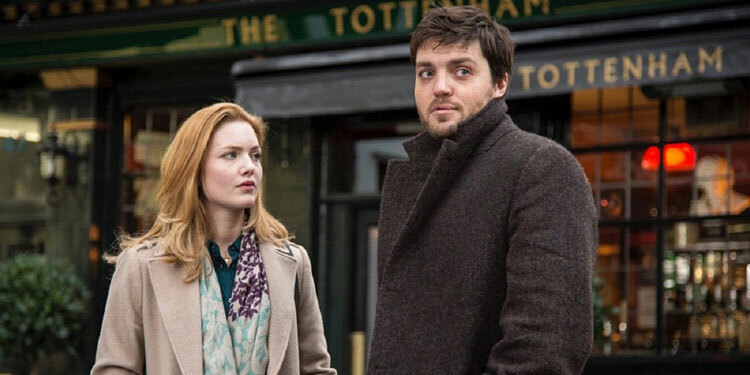 Overall Verdict: Perhaps a little too in thrall to its superstar author, but The Cuckoo’s Calling is a watchable first TV adventure for private eye Cormoran Strike. The recent Planet Of The Apes prequel trilogy is probably the most consistently impressive ‘blockbuster’ franchise of the past decade. The movies break the rules far more than they’re generally given credit for, getting progressively more radical as they’ve gone along. This is, after all, a big budget, tentpole franchise where human beings are the bad guys – they’re increasingly presented as brutal, arrogant, cruel and largely deserving of being wiped off the planet. The three movies have been about the rise of a new civilisation, becoming increasingly confident in having non-human heroes, and that the audience won’t mind siding with the apes against humanity. It’s an oddly radical thing for them to have done. They’ve also become more confident in their moral complexity. Dawn Of The Planet Of The Apes was essentially about an insurgency from the point of view of the insurgents, using the fact that it was apes and humans to hide the fact that its strongest parallels were about America had done in Iraq and Afghanistan. The criticism of jingoistic, militaristic, unthinking American patriotism continues into War For The Planet Of The Apes, which is incredibly timely in presenting a world where humanity has become increasingly fascist, and where someone – in this case an ape – who wants to heal divisions is ignored. Indeed, the movie is pretty about the nightmare of Trump and alt right – that western civilisation is going to be replaced, partly because of an arrogance that can’t seen the benefit of working together. The movie once more follows Caesar (Andy Serkis), who’s now at full-scale war with what’s left of the US Army. He attempts to bring an end to the conflict, but ends up being double-crossed. A man known as the Colonel (Woody Harrelson) enters the ape’s secret compound and kills most of Caesar’s family. Broken by what has happened, Caesar sets out with only a couple of his closest friends to get vengeance. However, Caesar’s personal mission may put all the apes in danger, resulting in a showdown that will determine the future of the planet, and which civilisation is in the ascendancy. While the trailer for the movie understandably highlighted the action scenes, for much of the running time it’s more of an intense drama. In fact, the middle section is a modern western, but with a couple of chimps and an orang-utan instead of cowboys. It allows the movie to spend time being rather internal, allowing it to explore a key moment in who the apes will be as a civilisation. There is a rather mythic feel as Caesar reaches a crossroads as he attempts to lead his ape brethren in the right direction. There are conscious parallels to Moses and Jesus in what’s going on behind the story, as well as hinting towards things such as the Holocaust. Thankfully, it doesn’t do this too heavy-handedly (although scenes where Caesar is literally crucified aren’t subtle). It allows War For The Planet Of The Apes to be far more thoughtful and morally complex than most big budget movies would dare to be. 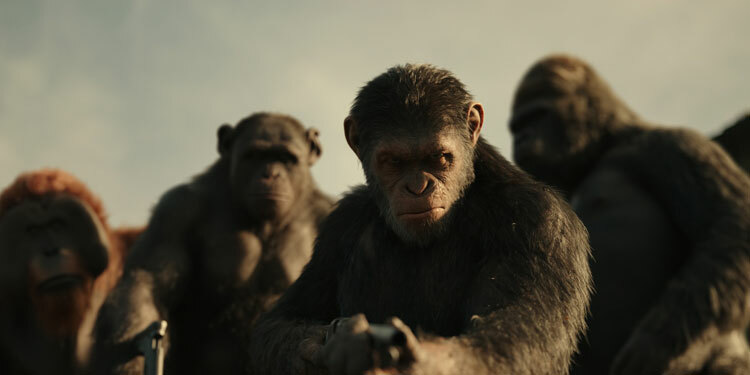 Indeed, if this was about two sets of humans against one another, it would probably seem pretty brutal and shocking – it almost certainly wouldn’t have a 12 certificate – but by passing the issues and ideas it’s dealing with through motion-captured apes, it allows the movie to go to some pretty dark and ethically intricate situations, without alienating a mainstream audience. While it maintains a good guys vs. bad guys setup, it’s not afraid of the grey areas in between. When the action ratchets up, there are some very good setpiece sequences, and as you’d expect for a movie filled with photo-realistic CGI apes that you completely empathise with, the effects are impressive. There are admittedly a few flaws, as while the screenwriters did a great job with the characterisation and overall arc of the plot, at times there are some pretty lazy contrivances to keep the story moving forwards. However, that’s only a minor problem amidst what is otherwise one of the best tentpole releases of the year. Overall Verdict: The recent Planet Of The Apes films really should be applauded for breaking the mould of what it’s possible to do with a tentpole release, with War sending it out on a thoughtful and powerful note. It’s 1940 and bombs are dropping on London. 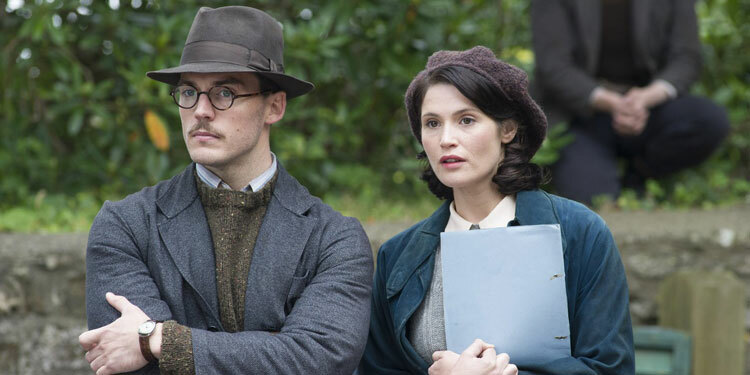 Catrin (Gemma Arterton) is a young Welsh woman who’s run away to the Capital with her artist lover. As a result, Catrin finds herself in need of a job, despite it being the middle of the Blitz. She unexpectedly finds work as a writer for a film company, which has been asked by the Ministry Of Information to make a movie that will help support the British war effort. If you’re worried that you’re just not miserable and depressed enough, Lady Macbeth could be the movie for you! It’s safe to say this is not a jolly film, although it is one that some will find pretty powerful, while others will feel it’s oddly pointless (despite its feminist undertones) and nihilistic.